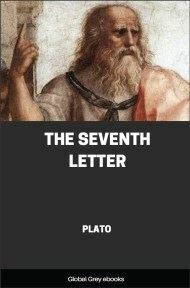 The Seventh Letter of Plato is an epistle that gives an autobiographical account of his activities in Sicily as part of the intrigues between Dion and Dionysius of Syracuse for the tyranny of Syracuse. It also contains an extended philosophical interlude concerning the possibility of writing true philosophical works and the theory of forms. Plato to the Relatives and Friends of Dion. Not long after that a revolution terminated the power of the thirty and the form of government as it then was. And once more, though with more hesitation, I began to be moved by the desire to take part in public and political affairs. Well, even in the new government, unsettled as it was, events occurred which one would naturally view with disapproval; and it was not surprising that in a period of revolution excessive penalties were inflicted by some persons on political opponents, though those who had returned from exile at that time showed very considerable forbearance. But once more it happened that some of those in power brought my friend Socrates, whom I have mentioned, to trial before a court of law, laying a most iniquitous charge against him and one most inappropriate in his case: for it was on a charge of impiety that some of them prosecuted and others condemned and executed the very man who would not participate in the iniquitous arrest of one of the friends of the party then in exile, at the time when they themselves were in exile and misfortune. As I observed these incidents and the men engaged in public affairs, the laws too and the customs, the more closely I examined them and the farther I advanced in life, the more difficult it seemed to me to handle public affairs aright. 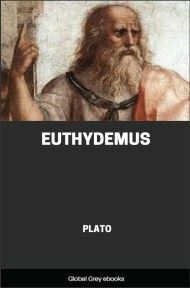 For it was not possible to be active in politics without friends and trustworthy supporters; and to find these ready to my hand was not an easy matter, since public affairs at Athens were not carried on in accordance with the manners and practices of our fathers; nor was there any ready method by which I could make new friends. The laws too, written and unwritten, were being altered for the worse, and the evil was growing with startling rapidity. The result was that, though at first I had been full of a strong impulse towards political life, as I looked at the course of affairs and saw them being swept in all directions by contending currents, my head finally began to swim; and, though I did not stop looking to see if there was any likelihood of improvement in these symptoms and in the general course of public life, I postponed action till a suitable opportunity should arise. Finally, it became clear to me, with regard to all existing cornmunities, that they were one and all misgoverned. For their laws have got into a state that is almost incurable, except by some extraordinary reform with good luck to support it. And I was forced to say, when praising true philosophy that it is by this that men are enabled to see what justice in public and private life really is. Therefore, I said, there will be no cessation of evils for the sons of men, till either those who are pursuing a right and true philosophy receive sovereign power in the States, or those in power in the States by some dispensation of providence become true philosophers.